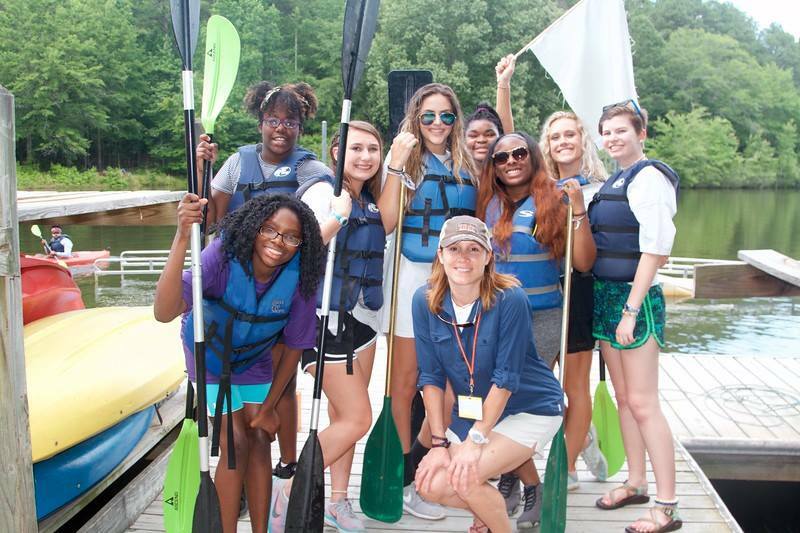 Camp Hope Registration is OPEN! Returning Camper Families, please click Camper List to see what camp your child is eligible for. You must register for the week assigned to your child. Then click on the button below to register! Contact Hope Rosenlund, Director of Programs, with any questions. Come get ready to serve at camp! Join us for C2C training and lunch. We’ll work on team building and having fun trying to break out of an escape room! Contact Courtney Conway, Leadership Programs Manager, with any questions. If you are a Camp Hope family in need of a food assistance, please call the office at (770) 977-7751 and speak to Toria Peterson. Twice a year, we host overnight retreats for any Camp Hope camper and their families from a Friday evening through Sunday afternoon. These retreats are designed to allow campers to share a shortened version of their Camp Hope experience with their relatives, and it also serves as a weekend of fun, respite, and bonding for the family as a whole. Our first Family Retreat was held February 22-24 and was a great success. Our next Family Retreat will be held September 27-29. For more information, contact Toria Peterson. If your child attends Camp Hope during the summer, the child and a parent/guardian are invited to our Hope4Christmas celebration! This event is held on a Saturday morning in December and is an exciting reunion for campers, counselors, staff, and volunteers. Guests enjoy lunch, crafts and games, a Christmas message, and a chance to learn about the next year’s activities. Attendees also receive a camper Christmas gift, a Kroger certificate, a grocery box, a gas card, and various other fun or helpful items. Specific details and registration will be posted in November.